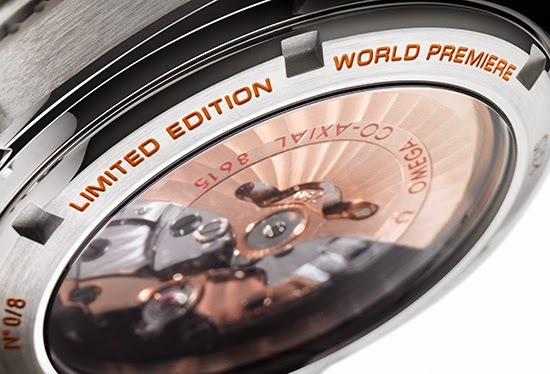 In addition to the Seamaster Planet Ocean Platinum, at SIHH Omega also introduced the 43.5mm Seamaster Planet Ocean Orange Ceramic watch (see the teasers from few days ago). Made out of 950-grade platinum, this new timepiece has a ceramic bezel ring and is equipped with the in-house Omega Co-Axial calibre 8615 movement. This is a limited edition watch and only 80 pieces will be produced. An orange rubber strap is also included. 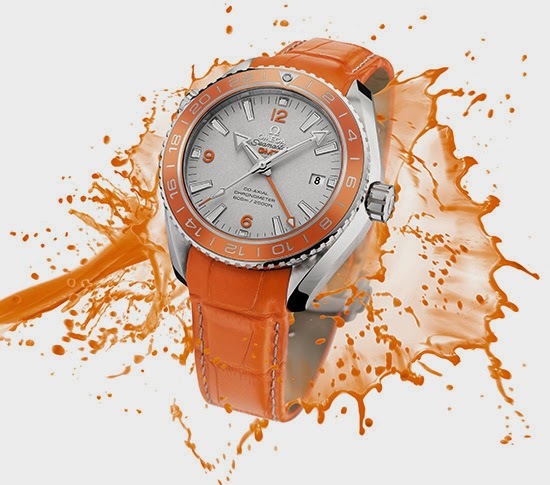 The new Seamaster Planet Ocean Orange Ceramic wristwatch is water resistant up to 60bar (600m / 2000ft). 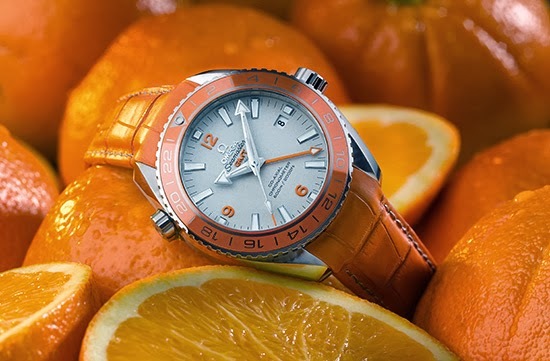 The OMEGA Seamaster Planet Ocean Orange Ceramic is more than a world premiere – it is prime example of craftsmanship and exceptional innovation. 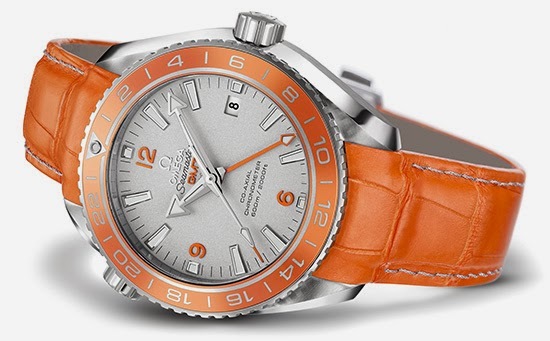 The Seamaster Planet Ocean Orange Ceramic has a brushed and polished 43.50 mm case crafted from 950-grade platinum with a bi-directional 24-hour GMT rotating bezel whose polished ring is made from orange ceramic (patent pending), a world premiere. This stunning wristwatch has been produced in an edition limited to only eight pieces, a testimony to the challenge and complexity of creating the Seamaster Planet Ocean Orange Ceramic.